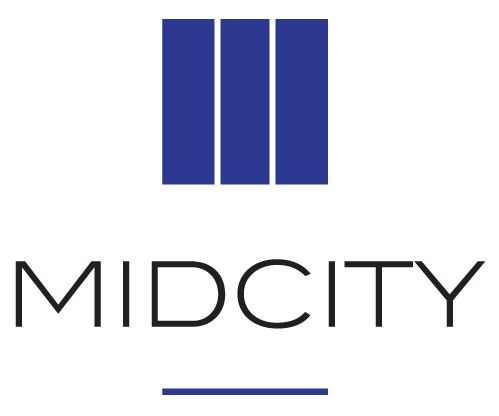 Founded by Eugene F. Ford, Sr. in 1965, MidCity has since its inception focused on providing safe, decent and socially supportive affordable housing. The company has developed and rehabilitated more than 15,000 units of market-rate and affordable housing and it manages more than 40 apartment communities in 12 states serving a wide range of families, predominately those with low and very low incomes. Mr. Ford also founded Edgewood Management Corporation, sister company to MidCity, which is the 7th largest affordable property management company in the United States. MidCity and its founder have been nationally recognized many times for dedication to affordable housing. Mr. Ford was awarded the National Housing Conference Man of the Year and March 28, 1989 was designated as Eugene F. Ford Day in the District of Columbia in honor of outstanding service to the City of Washington for dealing with housing and economic needs of its citizens. 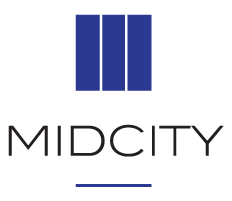 MidCity founded the Community Services Foundation (CSF), a non-profit organization that provides social services for residents at company properties. Each year, MidCity spends more than $1 million to support this supplemental programing at our Washington-area properties. Last year, nearly 12,000 residents participated in MidCity-sponsored programs, including job training, adult computer literacy, food programs, after-school tutoring, healthcare services and cultural heritage initiatives. Mr. Ford also founded and funded Community Development and Preservation Corporation (CDPC) in recognition of market forces’ impact on affordable housing. Today, 26 years after its inception, CDPC is among the largest not-for-profit housing entities in the Washington, D.C. area operating 4,500 affordable apartments and providing supportive programing for 9,000 residents. In addition, MidCity and its affiliates have donated $5.6 million over the past 10 years towards charitable causes that support affordable communities. Our employees currently serve and have served on numerous boards and industry task forces to assist in the development and preservation of affordable housing and improve the quality of life for community residents. We are a family company committed to the values and high standards established by our founder for developing and maintaining affordable and mixed-income properties in and around Washington, D.C. We are genuinely concerned with the quality and stock of affordable housing in our region and have spent more than 50 years working with our stakeholders to provide quality housing that is safe, socially supportive and well-maintained. In 41 years of private ownership of Brookland Manor Apartments, MidCity has never made a partner distribution. All income received from rent and subsidy has been reinvested back into the property. Our on-site community service programs, led by the CSF, partner with dozens of area non-profits to support the needs of our residents. Onsite programing for our residents includes girls’ self-esteem workshops, reading and math tutoring, brown bag food programs for our seniors, school supply drives, holiday gifts and a food pantry for families. Last year, 2,352 youth, teens, adults and seniors participated in MidCity-sponsored community programing at Brookland Manor. The owners of Brookland Manor invest nearly $200,000 per year on supplemental resident services at the apartment complex to improve the quality of life of its residents. Every three years, HUD’s Real Estate Assessment Center (REAC) conducts physical property inspections of properties that are owned, insured or subsidized by HUD, including public housing and multifamily assisted housing. A passing score for a REAC Physical Inspection is 60 or above. At Brookland Manor Apartments, our scores reflect that we have maintained the property at a consistently high level of care. On December 15, 2015, we scored a 95C; on December 11, 2012, we scored a 95B; and on October 29, 2009, we scored a 92C. Despite a continuing high standard of maintenance, the 75-year old property has surpassed its useful life and no longer meets the needs of residents or of the community. • Retain the Section 8 contract that assists 373 very low income families. • Provide 22% total affordable housing units versus the requirement of 8%. • Provide the opportunity for all residents to remain in the community. • Build replacement affordable housing first. • Aim to perform all resident relocations on site at our expense. We understand that development is often a disruptive process, but we believe that the new development will better support our current residents and the entire community. As we move forward in the development process, we commit to continue engaging with all of our stakeholders to provide clarity, alleviate concerns, share ideas, and build common bonds. With support from agencies, officials, neighbors and residents we will collectively build an inclusive community with economic diversity and opportunity for all.